Join our “weeding” party at the Boyd Park Prairie Garden, 9-11AM, Sunday, Oct. 13. 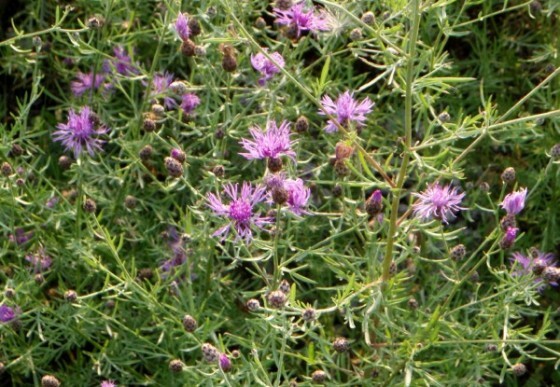 We will be cutting off the stems and seed pods from the invasive Spotted Knapweed. Best tool is a hedge clipper, with a second person bunching up the multiple stems so they can be severed in one cut. These seed-bearing stems will be piled on a tarp for the City to remove on Monday. Every cluster of seeds removed means hundreds of seeds will not sprout in the Garden next spring. The catalyst for this party is Our Saviors Lutheran Church who offered to give in this way to their community as part of their worship. Thanks to them for planting this seed. A light rain will not stop us! For more info, or if you want to be notified of future prairie restoration events, contact Mark Ruddy, 839-7949.